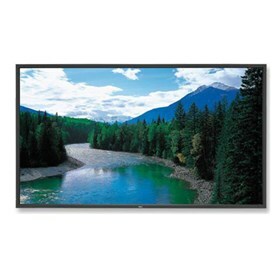 The NEC 5220-OLX is a 52" large-screen LCD display ideal for digital signage applications. This display has 1920 x 1080 resolution that displays incredibly clear imagery and uses SPVA (P-DID) Panel Technology. It features 178° horizontal and vertical viewing angles and brightness of 500cd/m2 with 2000:1 contrast ratio. The NEC 5220-OLX has many exciting features for users of all types. The NEC 5220-OLX is sold as a Brand New Unopened Item.